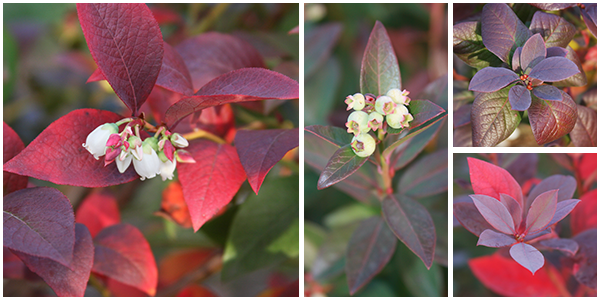 At the research farm our plants are practically bursting with autumn hues. As the green traces of summer start to fade, deep plum-purples and striking magentas settle in, and electric blues and pinks vein their way across the leaves. Each season lends its own unique enjoyment and beauty, but this fall foliage has a quality all its own. Enjoy the season while it lasts! Looking forward, we’re excited to see what charming spectacles winter might bring.